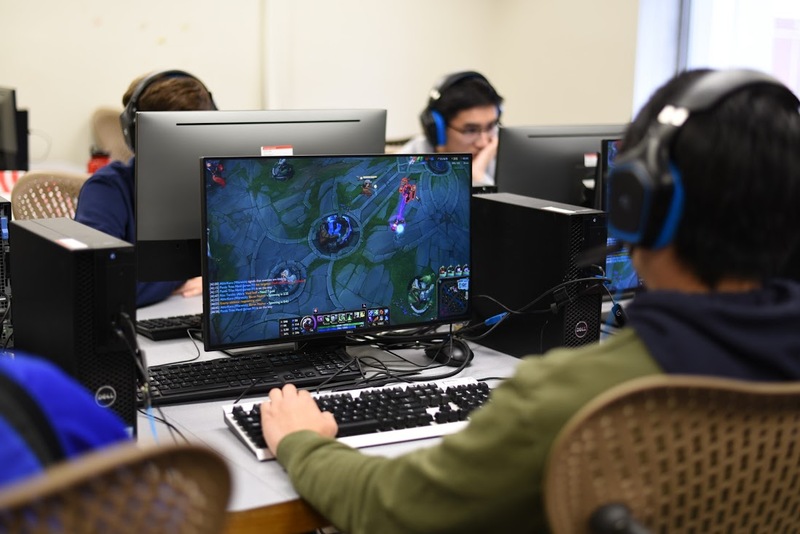 On November 12th, OU Esports Association held their first ever tournament with five teams battling it out in five rounds of League of Legends. The tournament was held on OU’s campus as well as streamed on OU Esports Association’s Twitch page. In round one, ‘OU IT Services’ took the first match against ‘Clown Fiesta’ while ‘Buddy Squad’ drew first blood and ended up winning their first match against ‘RITO PLZ’. In the second round, ‘Clown Fiesta’ was able to turn around and win their match against ‘RITO PLZ’ while ‘Team Shrooms’ takes their first win against ‘Buddy Squad’. In round three, ‘Clown Fiesta’ wins their second match over ‘Team Shrooms’, and ‘OU IT Services’ is undefeated after winning the round over ‘RITO PLZ’ who is still looking for their first win. Round four showed ‘OU IT Services’ taking another win against ‘Buddy Squad’ making ‘OU IT Services’ 3-0. ‘RITO PLZ’ found their first win against ‘Team Shrooms’. In the final round, ‘Team Shrooms’ broke ‘OU IT Service’s’ winning streak, while ‘Clown Fiesta’ takes a win against ‘Buddy Squad’. The last match left ‘OU IT Services’ and ‘Clown Fiesta’ in a tie, with ‘OU IT Services’ winning the tiebreaker match. Rewatch the matches right here or on their Twitch page, and watch all future streams of their tournaments there as well.